In the 3rd part of this series, we will examine the positions and recommendations from a few other sources. First, the concern of arsenic in rice drinks is not a new one. 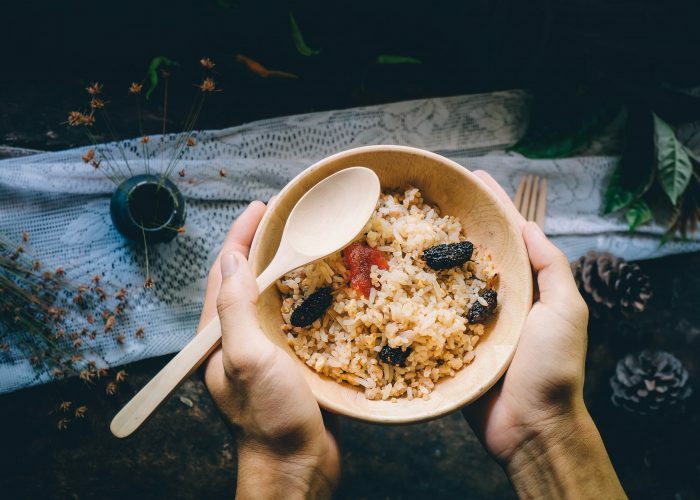 As early as 2003, the Food Standards Agency (FSA) in the United Kingdom has been conducting surveys regarding levels of arsenic in rice and rice products. In February 2009, they released key results in a food survey information sheet regarding arsenic in rice drinks. It was found that arsenic was detected in all samples of rice drinks at low concentrations. Hence FSA advised against using rice milk to substitute for breast milk or for cow’s milk infant formulas for toddlers and young children who are 4.5 years of age and under. This recommendation is not only for nutritional reasons as rice milk is nutritionally inadequate compared to breastmilk or infant formula, but also to reduce arsenic exposure and intake by young children. In November 2014, the American Academy of Pediatrics (AAP) provided some advice regarding the use of infant rice cereal for infants and older children who need this due to special needs including dysphagia or gastroesophageal reflux. The AAP’s interim advice is that oatmeal can be used as a preferred thickener instead of rice cereal. This can be done through the use of infant oatmeal cereal. For older children, cornstarch or gum based thickeners can be suitable alternatives. “first level carcinogen because long-term exposure is associated with increased risk for various carcinomas including skin, bladder, lung, kidney, liver, and prostrate. Furthermore, exposure is also associated with alterations in gastrointestinal, cardiovascular, hematological, pulmonary, neurological, immunological and reproductive/developmental function”. Further, infants and children may be more susceptible to toxic effects, with a “higher exposure reported to be associated with increased infant morbidity and mortality and impaired development“. The ESPGHAN Committee on Nutrition caution that rice, especially rice bran, contains high levels of inorganic arsenic, and rice drinks should not be used in infants and young children. This group also encourages a wide consumption of different grains in the diet to reduce inorganic arsenic exposure from food, such as oat, barley, wheat, maize and rice. All this serves to show that the issue of arsenic in rice is a real one, and one worth noting. There will likely be more data and guidelines out in the near future, especially from the United States Food and Drug Administration, so keep watching this topic. In the meantime, there are many action steps that you as a consumer and parent can already take for yourself and your child [see posts on Arsenic & Rice (Part 2): Action Steps You Can Take Right NOW and Qn of the Month: How Can I Reduce the Arsenic Content of Rice Through Cooking?]! You may also want to read this more recent article by AAP regarding the proposed rule by FDA on arsenic levels in rice cereals: FDA proposes limit on arsenic in infant rice cereals. AAP Arsenic in Rice Expert Work Group. AAP group offers advice to reduce infants’ exposure to arsenic in rice. American Academy of Pediatrics. http://aapnews.aappublications.org/content/35/11/13.1.full. October 27, 2014. Accessed February 6, 2018. Food Standards Agency. Survey of total and inorganic arsenic in rice drinks. Food Survey Information Sheet 02/09. https://www.food.gov.uk/science/research/surveillance/food-surveys/survey0209. Last updated May 21, 2009. Accessed February 6, 2018.